This exhibition marks the fifteenth anniversary of the architectural competition to find a framework plan for the renewal and development of the Temple Bar area of Dublin. Moving mouse over enlarged image will trigger navigation. The Temple Bar of the late 1980s was a place of narrow streets lined by mainly nineteenth-century industrial, commercial and domestic structures. Signs of neglect and urban decay were everywhere, engendered by the intention to develop the area as a major bus transportation hub. The building stock was allowed to slip into disrepair, and a significant number of structures were removed altogether. Conversely, the availability of buildings – however run-down – on cheap short-term leases had brought to the area an increasingly bohemian fusion of culture, cafés and small-scale commerce. Out of this eclectic mixture an alternative vision for the future of the area emerged. 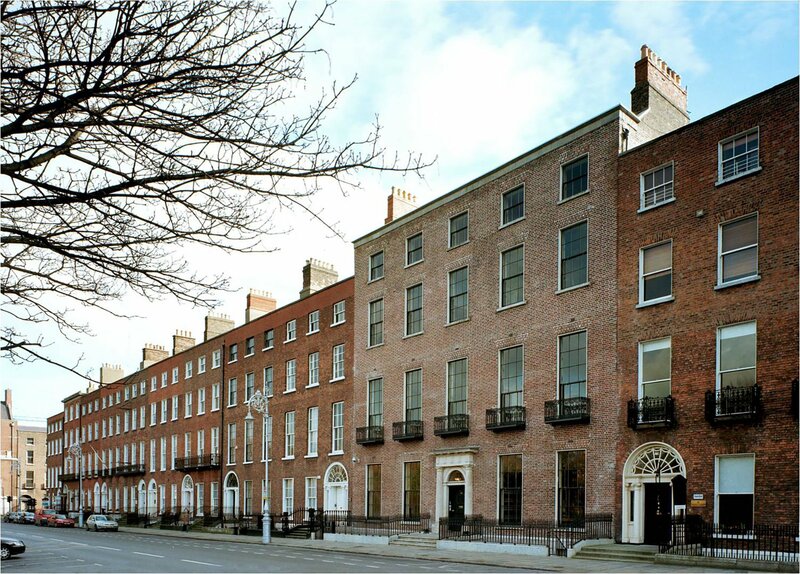 In 1990 the Temple Bar Area Renewal and Development Act was passed, leading to the creation of Temple Bar Properties, the development company for the area, which organised the 1991 framework plan competition. This exhibition consists of two elements – photographs of the Temple Bar area and an architectural model of the competition-winning framework plan scheme. The photographs were mainly taken in 1985 by the Irish Architectural Archive as part of an Inner City Survey project. They date from a period when the transformation of the Temple Bar area into a bus station was very much a live proposal. When shot, therefore, the photographs were assumed to be a record of streets and buildings which would shortly no longer exist. Instead, they have become a portrait of Temple Bar on the eve of transformation. They show just what it was that all those who entered the framework plan competition had to deal with – an urban landscape which, humming as it well may have been with cultural and artistic vibrancy, was most obviously characterised by decomposing buildings and surface car-parks. The architectural model of the competition-winning scheme shows one response to the fractured physical space portrayed in the photographs. This framework plan shaped the changes that were imposed on the area in the decade following the competition. 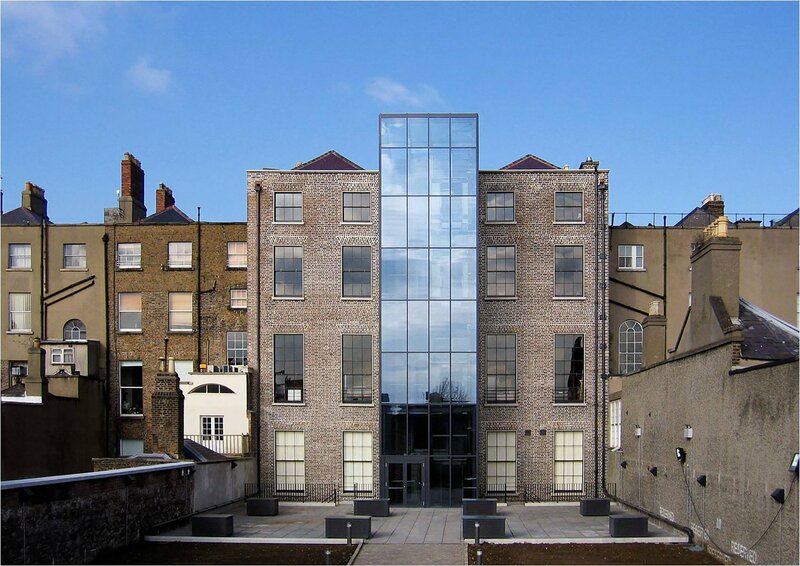 While the steel, glass, brick and concrete of contemporary Temple Bar may differ in finished detail from the proposals of 1991, they are substantially where the plan indicated they should be. And central to the framework plan was a recognition of the need to preserve as well as transform. Consequently, much of what stood in 1985 still stands. This gives the Temple Bar depicted in the photographs an odd resonance, at once almost unrecognisable and yet immediately familiar. The framework plan competition was won by Group 91 Architects, a collective of eight young Irish architecture practices – Shay Cleary Architects, Grafton Architects, Paul Keogh Architects, McCullough Mulvin Architects, McGarry Ní Éanaigh Architects, O’Donnell and Tuomey Architects, Shane O’Toole Architects and Derek Tynan Architects. As part of the exhibition programme, the Archive is delighted that these constituent practices have all agreed to individually participate in a series of lectures during which they will reflect on their involvement with Temple Bar and on the development of their own distinctive brands of architecture since the collaboration of the Group 91 period. The Irish Architectural Archive’s exhibitions programme is supported by Michael McNamara & Co., Pierse Contracting Ltd and John Sisk & Son Ltd. 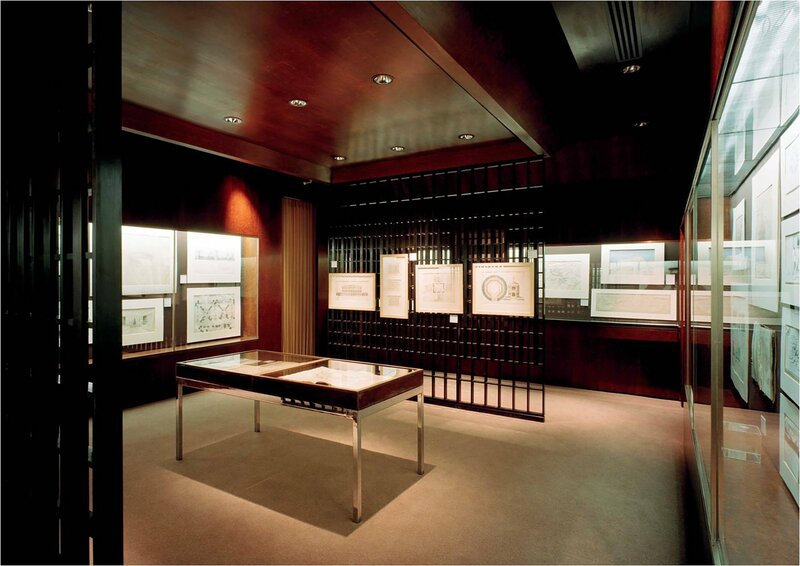 The Irish Architectural Archive would like to thank Temple Bar Cultural Trust for its support of this exhibition. Thanks too to Richard Dann for his work on the photographs and to David Hayes for designing the catalogue. For more information on the exhibition or lecture programme, contact the Archive on 01 66 33 040.